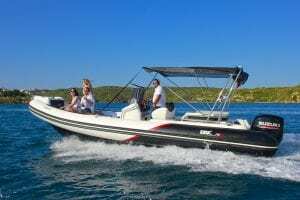 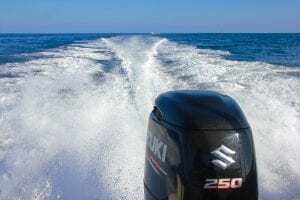 The BSC 75 is a brand new 2018 semi-rigid, powered by a Suzuki 250 DF engine, is the best way to get to know the coves of Menorca. 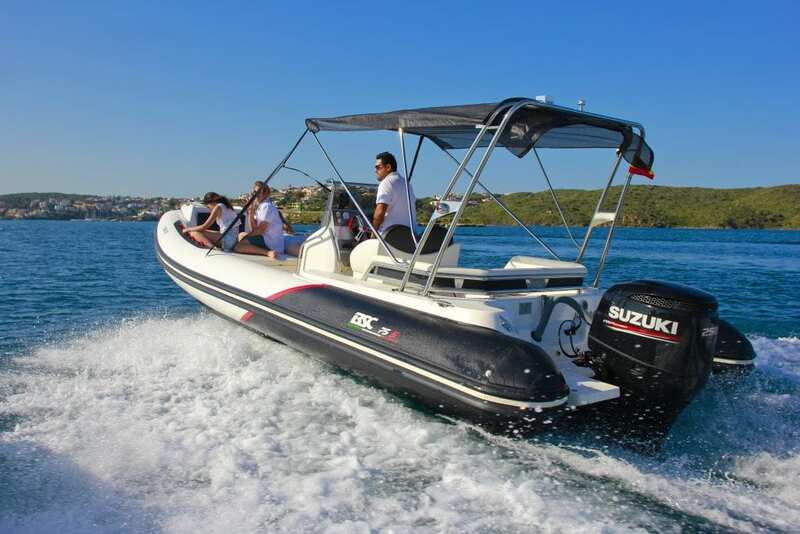 The BSC 75 has a great width, and almost 3.2 meters of beam can accommodate up to twelve approved passengers. 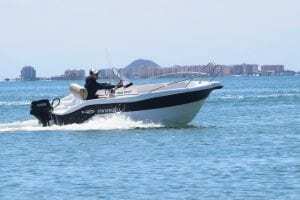 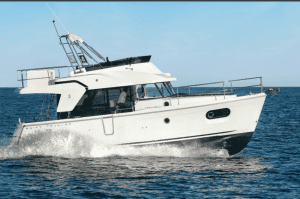 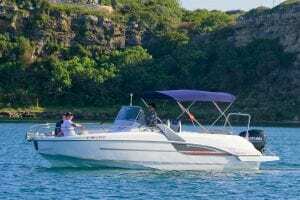 The semi-rigid BSC has the best qualities in the market, its hull has received praise from the specialists, it is easy to pilot and is the safest boat to navigate. 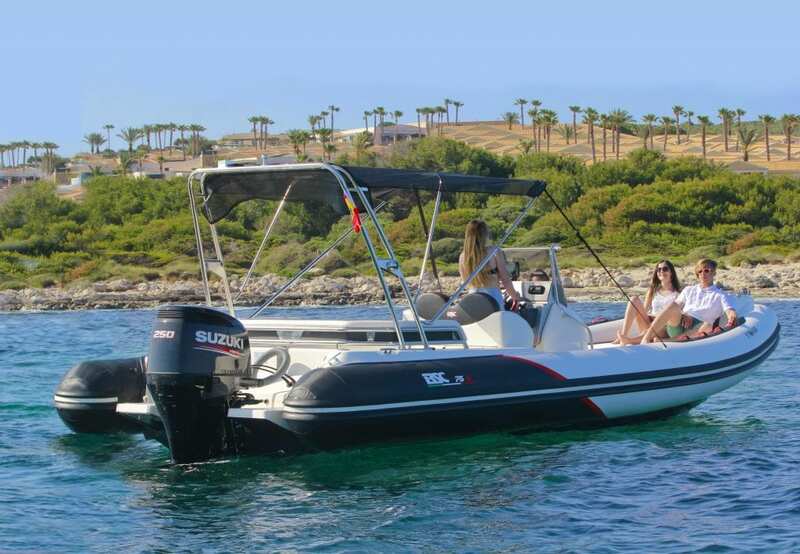 The two stern platforms have access to the sea, the bow room, its large bimini and the high quality of the finishes make the BSC 75 a special boat to enjoy the sun, the beaches, water sports and navigation. 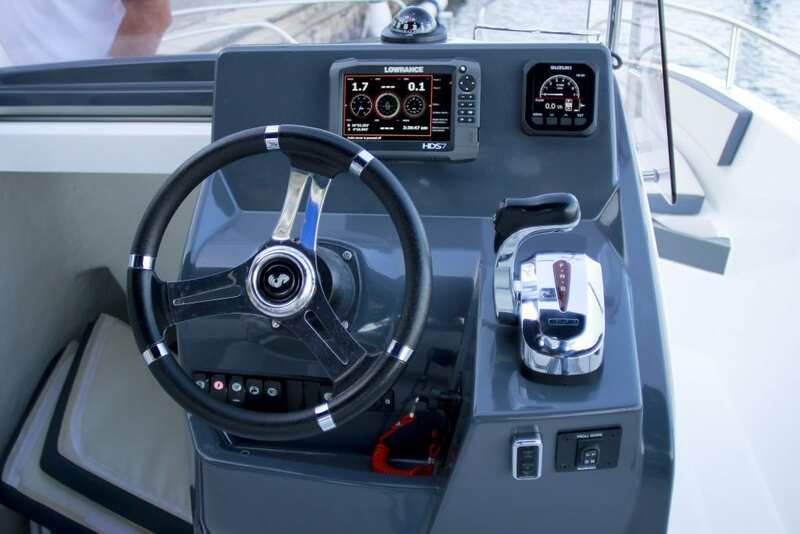 The two deck rooms located in front of and behind the pilot console contain convertible seats into an extensive solarium. This semi-rigid is undoubtedly designed for outdoor enjoyment, to practice water sports, with flexibility of power when you need it and speed when you ask for it. 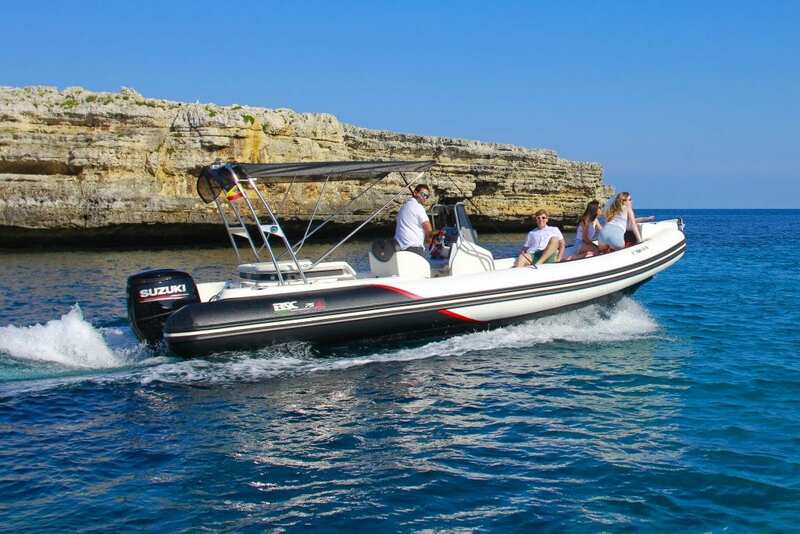 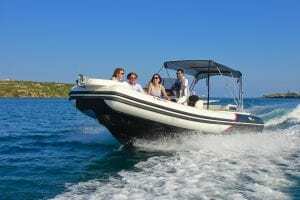 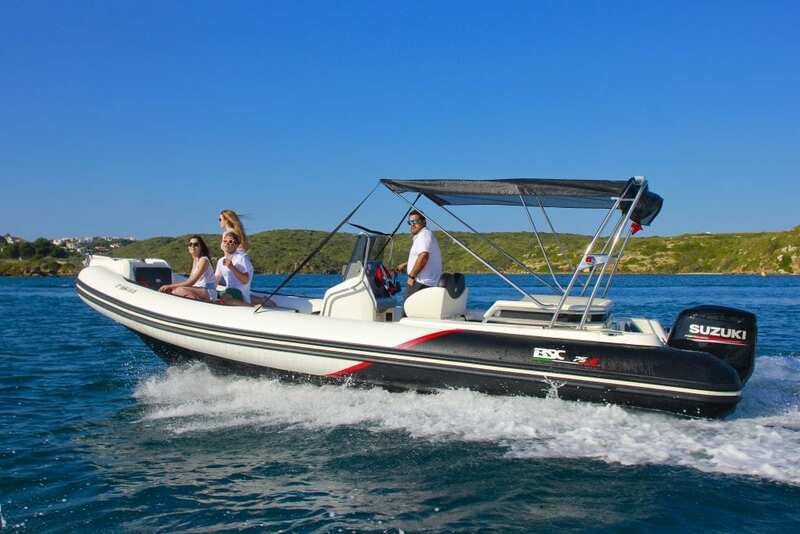 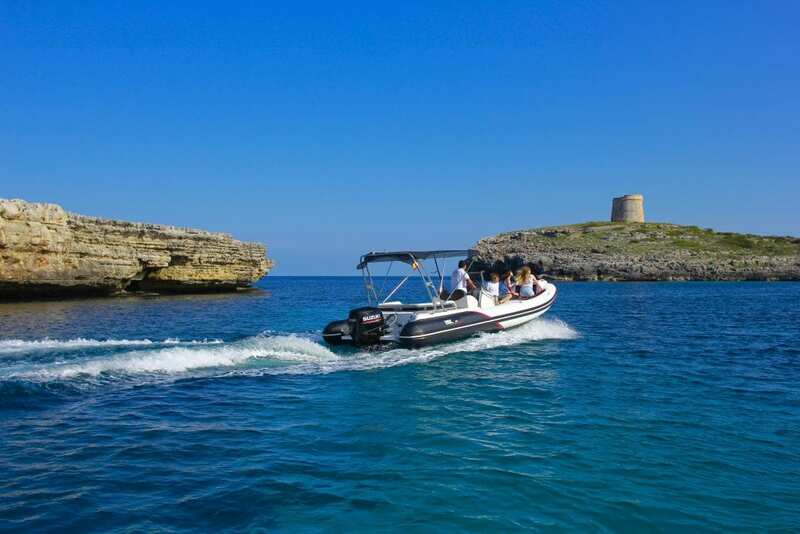 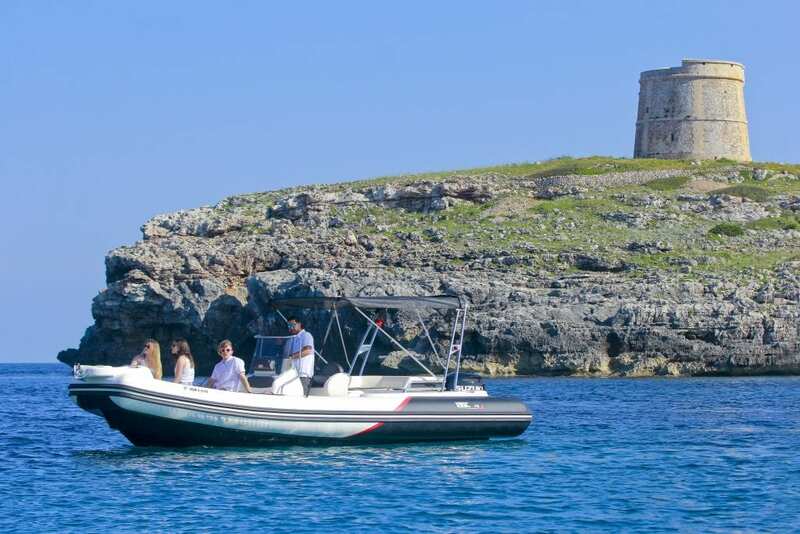 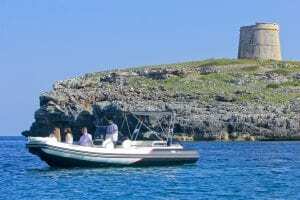 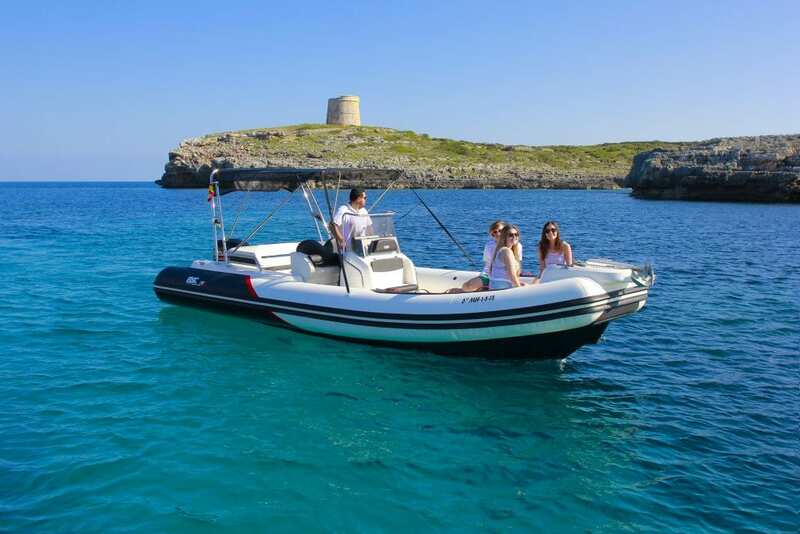 Do not hesitate to rent this BSC 75 to practice your summer sports in Menorca and-or for a quiet trip around the coves of the islands. 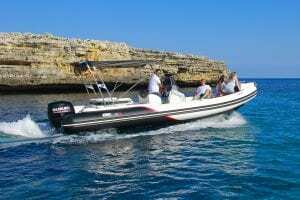 Classic and Sports line are the same boats, with the same features and equipment. 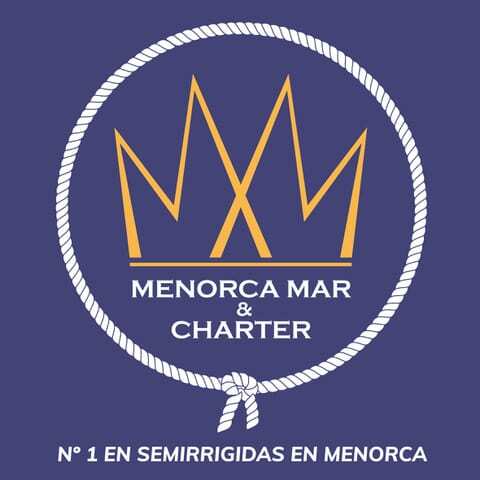 They are presented in two lines, a “classic” combining white and beige colors and another “sport” line that combines white with black and red colors.